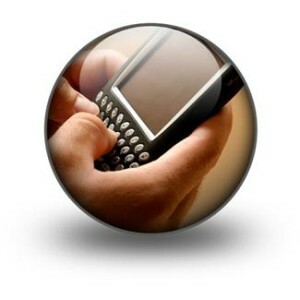 If you need to know how to retrieve deleted text messages on BlackBerry devices, then you have come to the right place. Over the years, a number of people have turned to BlackBerry because of the multiple solutions available in one sleek device. It is an office on the go for busy professionals who need to manage their many avenues of communication – phone calls, text messages, emails, social media – in one place. But what happens when juggling all those things in the air causes you to click delete instead of save or reply. Instead of a communication, you are left staring at a blank screen. If this has happened to you, there is no need to panic just yet. The first thing to do is to access the menu screen. From there, select the search icon and input any keywords from the message in the box. You can also search by the name of the sender or group. Unless you remember setting the device to save messages to its SIM card, they most likely are not stored there. Yet, it is worth checking if the above techniques did not work. If you find your phone is set to save messages to its SIM, the first thing to do is to disable this feature. This will prevent any new text messages that come in from potentially overwriting the stored but deleted messages. Just remember to restore this access when you are through. Whenever an attempt at data recovery is made, it is recommended to halt all incoming and outgoing data. The logic behind this is the device is more likely to save old data, including deleted text messages, when it does not have to process new data. One final thing to try in the case of an accidental deletion is to contact the person who sent the message and ask them to resend it. Yes, it is possible the sender will no longer have the message. However, if it can be resent, it is oftentimes delivered with at least a portion of the deleted conversation thread attached. This trick typically works regardless of the operating system. Finally, to avoid the stress of accidental data deletion, purchasing and installing a software system designed to backup text messages is highly recommended. While you may balk at one more thing buy, think of backup software as another accessory, like a case. You will most likely find this makes the ability to retrieve deleted text messages on BlackBerry well worth the investment.